You are currently browsing articles tagged PhDlife. What is your research specialisation/topic? Through my PhD I am assessing the impact human activity and climate change has had on the sustainability of terraced agriculture in the Peruvian Andes through the analysis of phytoliths, pollen, non-pollen palynomorphs, and charcoal analysis. Since undergraduate level, I have been interested in how past civilisations interacted with each other as well as their environments and, in particular, how this may be able to tell us more about environmental changes currently taking place, or those that may take place in the future. This inspired me to undertake an MSc in Environmental Archaeology here at the University of Reading. Whilst working on my master’s dissertation with my now PhD supervisor, Dr Nick Branch, I fell in love with Peru and its history and because of this he encouraged me to apply for a PhD. What is a current exciting development in your area? In recent years, several new climatic records from speleothems, marine cores, and lake cores, have been published from Peru and South America. These illustrate how the climate has changed over the course of the Holocene; information that was lacking at the beginning of the decade. This is valuable information for those that want to understand whether agriculture has been resilient to climate change in the past. 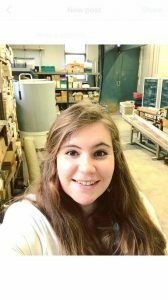 What advice would you have for young women wanting to study Archaeology in the future? To get as much experience as you possibly can early on, whether that be through volunteering on digs or work experience in labs. I found that getting involved with local events and helping out in the lab have not only been beneficial training experiences but was also a lot of fun! My parents have always motivated me and supported the decisions I have made, both for my education and my career; this has been absolutely fundamental in getting me to where I am today. 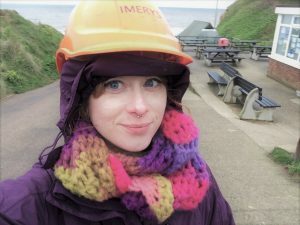 I was also lucky enough to have two very inspiring female geography teachers in secondary school that sparked my interest in earth sciences at quite a young age. When I am not working on my PhD I enjoy getting out into the countryside, going for walks and getting some fresh air, it is really important to find time for you whilst studying; it’s helpful in clearing the brain for a while! I also enjoy baking and being creative. 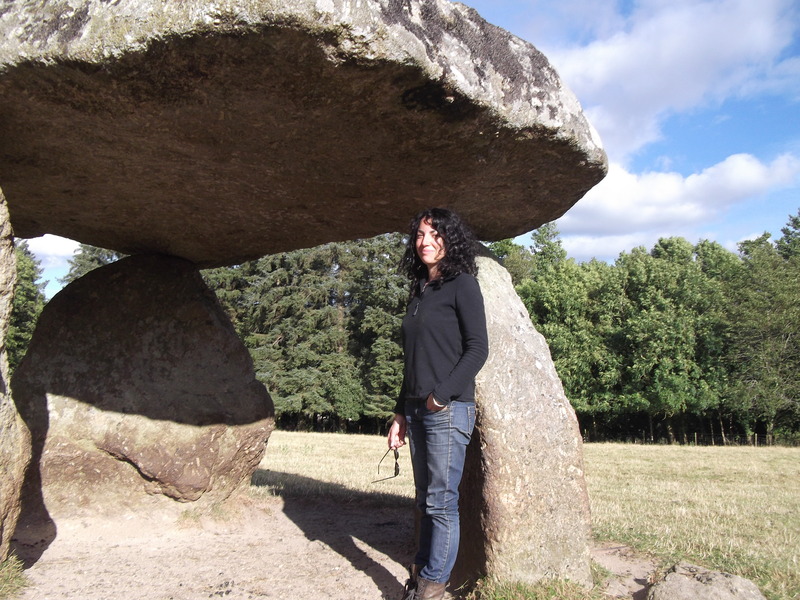 My research examines the relationship between heritage and wellbeing, exploring the therapeutic value and potential of the prehistoric landscapes of Stonehenge, Avebury and the Vale of Pewsey, in the present day. It is particularly concerned with how the historic environment impacts people, personally, and what it means for them. My love of prehistory and psychology, my passion for helping people and a hunch that heritage is fundamental to our wellbeing and development. The heritage and health sectors are beginning to work together increasingly to find new ways to promote wellbeing and justify the deeper impacts of heritage. Do what you love – if it inspires you, just go for it! The late Dr Tessa Adams. Celebrated psychoanalyst, theorist, and my former masters supervisor, Dr Adams was a force of nature, had a brilliant mind, and recognised the potential links between archaeology and wellbeing. I have also been inspired by the work, support and encouragement of Dr Jim Leary, Prof Tim Darvill and the late Prof Peter Woodman. My main interest is the use of soils and sediments to understand the archaeological record. My PhD draws on this by investigating the use of fire by early humans in the Palaeolithic. In the earlier parts of this period (the Lower Palaeolithic and parts of the Middle Palaeolithic), we simply don’t find much evidence for it – why? My research, therefore, focuses on the effects of fire on different soils and sediments, and the conditions under which evidence for humanly-controlled fires are preserved. I study this by using experimental archaeology – I build fires and try to identify the factors affecting their visibility. Although my background is in the environmental and earth sciences I have always had a keen interest in archaeology. I became fascinated by Quaternary geology and Pleistocene climates during my undergraduate degree and I am particularly interested in the interactions between humans and the environment – both how humans have shaped their environments and, conversely, how environments have shaped humans, particularly via subsistence strategies. Research involving the early use of fire has had a resurgence in recent years. We now have a range of scientific techniques at our fingertips which we can use to help us answer the many questions we have about this important development in human history. Go for it! Get experience if you can, work hard, read widely, and most importantly – ask questions! My mum who always encouraged me to read and pursue my interests (however weird and wonderful they may be! ), and of course all of the pioneering and forgotten women of science – the Trowelblazers, like Mary Anning and Charlotte Murchison – who were disregarded, actively discouraged, and written out of the textbooks. In my spare time, I enjoy relaxing at home with my cat and some good music, and cooking/experimenting in the kitchen. I am a Biological Anthropologist and currently researching puberty and childbirth in Roman-Britain. As an Ancient History undergraduate, I was assigned to read Sarah Pomeroy’s Goddesses, Whores, Wives, and Slaves which was a life changing moment for me as I was also becoming more active in the LGBT community. Since that moment, I have been interested in studying those less represented or marginalized. Childbirth has been primarily studied from an evolutionary perspective by males, my work aims to widen the scope of research we can gain from the topic. Working on addressing the stereotypes associated with obstetric hazards and early marriages among past populations. For young women who are considering Archaeology, or a related subject like Biological Anthropology, I encourage them to pursue their passion. Develop a sense of inner strength and perseverance, so when they might be the only woman in a class they have the courage to speak out. Also, help each other out instead of tearing each other down. I always thought I was rubbish at science once I got to secondary school; however, now I love biological sciences and I am really glad I had the opportunity to continue on with it. I can’t credit a specific person but there have been many strong women along the way who have inspired me. I have always been headstrong and inspired by my grandmother who left home at 15. She joined the army a few years later, one of the first women in the US to do so and traveled all over in the 1940’s and 50’s. It was all really ambitious for a young farm girl. I was also lucky to have a few really good mentors in school who saw my potential and encouraged me to stick with it, even when I was really close to failing. As a PhD Researcher I don’t have much free time as I also work as a tutor for SEN students. However, I really enjoy travelling and making yummy vegan food.